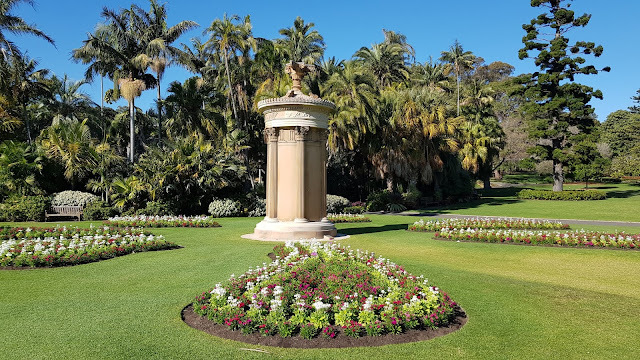 The perfectly manicured flower beds in the Royal Botanic Gardens around the replica of the Choragic Monument of Lysicrates. Considering it is the middle of winter where you are, the gardens look amazing. The flower beds here are replanted throughout the year and the flowers change with the seasons. A lovely scene to see, Jim. The flower beds are TOO perfectly manicured but the trees, lawns and paths are a pleasure to see. I like this kind of garden that has lots of grassy areas. Have a look at the link to my previous post too. Perfectly manicured indeed! Happy Blue Monday to you!